A slew of car break-ins in Sunnyvale overnight Monday caused police to step up patrols and has residents on edge. 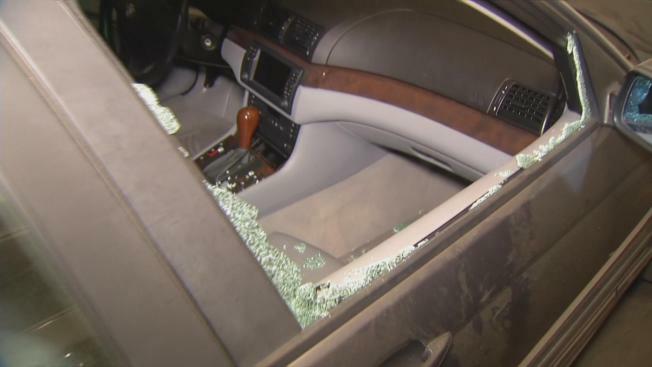 Police counted nine cars broken into early Monday morning on West Remington Road in Sunnyvale. Victims of the break-ins say the number of burglaries is closer to 25. Five of the victims say they don’t feel safe. Manoj Nayak said his cars were included in the rash of break-ins. "I have a few pictures I can show you," Nayak said. The photographs show windows shattered, gloveboxes opened and in some cases items taken. "The windows were completely broken, glovebox, GPS, goggles," Nayak said. Car owners who live in two separate apartment complexes said they woke up to car break-ins. Police are investigating. They said the number of break-ins reported in the area is unusual. What’s not unusual is gangs of car burglars going from city to city. It’s been a problem, they said. Sunnyvale's Department of Public Safety said it has increased patrols in problem areas. Police said the burglars are looking for the usual things: electronics and other valuables.